All I know about soft power, I’ve learnt from my mum. The eldest in a family of four girls, a mother to two strong-willed daughters of her own and a Libran, my mum wields soft power like it’s a God-given right. So finely tuned are her powers of persuasion, that any debate with her will often lead you back to her opinion, convinced you arrived there entirely of your own accord, then with her making up for winning the argument with gracious charm. Soft power is defined as the ability to influence or shape the preferences of others through appeal and attraction, by co-opting people rather than coercing them. As a leadership style, this kind of soft power or influence isn’t the exclusive preserve of women (here’s looking at you Barack), but historically, it has been a rather uniquely female kind of power. When women couldn’t access positions of actual autonomy, they had to make do by bending the ear of the men in their lives who could. That ‘Behind Every Great Man….’ saying comes to mind. Now, we are living through a modern moment obsessed with reclaiming female power. And it could be argued that in the wake of #MeToo, women should demand a power that’s more than soft or ephemeral, one that doesn’t involve radiating a force-field of likeability and charm to civilise those around them. I think power has become one of those interesting modern paradoxes, in that everyone seems to want it, regardless of their definition of it or how it’s harnessed. But perhaps this comes down to how we frame power; masculine v feminine, hard v soft, Trump v Obama. In our new world order where wokeness, empathy and emotional intelligence – something we female-kind tend to have in spades – should all reign supreme, surely the bullies are making a strong enough case for ruling with anything but hard power? 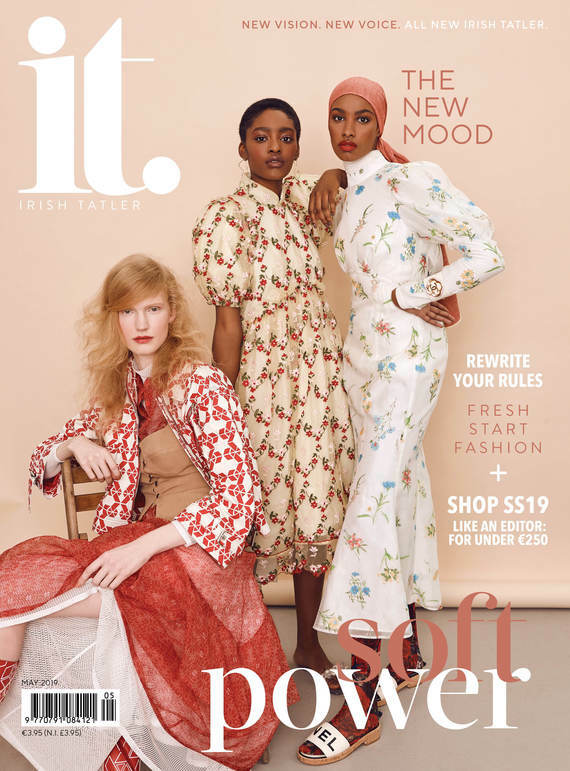 To bring things back a little closer to home, the fierce (and soft) women behind Irish Tatler have been exploring some power plays of our own, via a brand refresh – pushing ourselves into new creative territory, expanding our editorial ambitions and ensuring we represent a place at the table for Irish women, of all ages and interests. Our newly designed site will be home to key features that provoke thought, start conversations (not fires) and hopefully, inspire action. As the Editor of irishtatler.com, I want to us to focus less on breaking news and more on how these events might make Irish women feel, how they might affect Irish women’s lives - always sharing our stories through this lens. If employing the use of empathy and positivity to shape long-rooted attitudes and choices makes us ‘soft’, then, as a brand, we’re okay with it! Until next time, this is it.